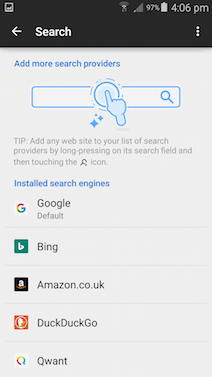 How to set the default search engine in browsers? 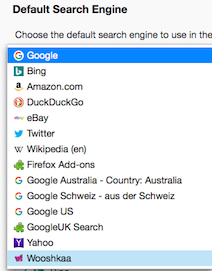 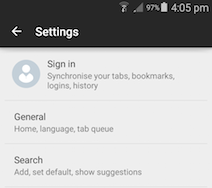 You can set the default search engine in Chrome and Firefox. 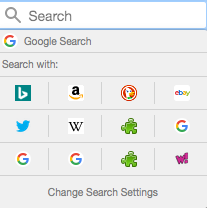 Unfortunately other browsers don't give users full control in this area. 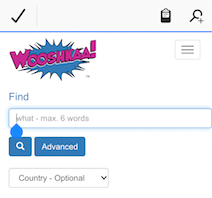 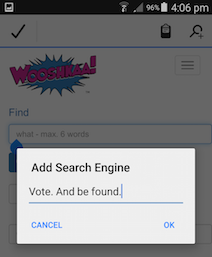 This will 'trick' Chrome to add Wooshkaa to its list of search engines. 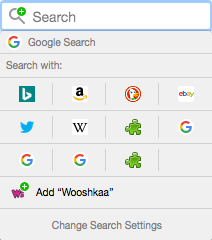 In the search field you will see a green search icon with a '+' sign. 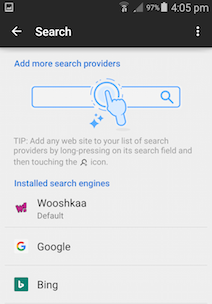 Click that. 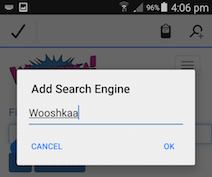 2 A window will open with all your search engines listed.